New Delhi: The National Green Tribunal (NGT) constituted an expert committee to ascertain the impact of steel pickling industries that remove impurities from steel on the air quality and the Yamuna river in Delhi. 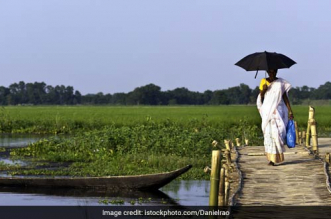 A bench headed by NGT chairperson Justice Adarsh Kumar Goel formed the committee comprising senior scientists from the Central Pollution Control Board (CPCB), National Environmental Engineering Research Institute (NEERI), and IIT Kharagpur. The green panel said the CPCB will be the nodal agency and the committee may visit the site and furnish a report to this tribunal. It is necessary to ascertain the impact of the industry on the air quality of Delhi which is already highly polluted, and on river Yamuna which is also subjected to severe pollution by several polluting activities, industrial as well as municipal. Also, ascertain the impact on the green belt and the inhabitants on account of huge hazardous waste already dumped and further potential for generation of such hazardous waste. The green panel also said that steel pickling industries are part of the prohibited list and the power of the Delhi government is limited to only determine whether a particular activity is part of such prohibited list and not to ignore or modify the said list. The matter is listed for next hearing on May 27. The tribunal had earlier fined the Delhi government Rs. 50 crore for its “failure” to take action against steel pickling units in residential areas as they fall under the prohibited list of industrial activity. The bench had said that discharge of untreated effluent directly or indirectly in the river has caused serious damage to the environment and the Polluter Pays Principle needs to be invoked to compensate for the damage caused. The NGT had also directed the AAP government to shut these units with immediate effect and directed the Delhi chief secretary to constitute a three-member team to identify persons responsible who may be liable to be prosecuted and punished for violation of the law. It had sought a report within four months. The order had come on a plea filed by an NGO, the All India Lokadhikar Sangthan, seeking the execution of its order by which the green panel had directed the Delhi Pollution Control Committee (DPCC) to take action against stainless steel pickling industries in residential areas as they fall under the prohibited list of industrial activity as per the Delhi Master Plan (DMP), 2021. 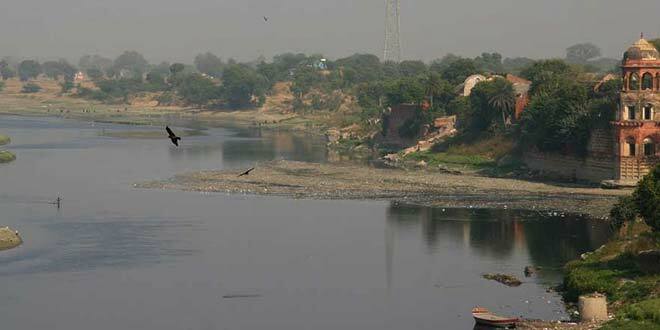 The plea had alleged that such units functioning at Wazirpur discharged effluent in open drains which ultimately met the Yamuna river. It had contended that under the pretext of decision making “time is being taken by the Delhi government and the environment is made to suffer continuously”. Pickling is the process of removing impurities such as stains and inorganic contaminants from metals.